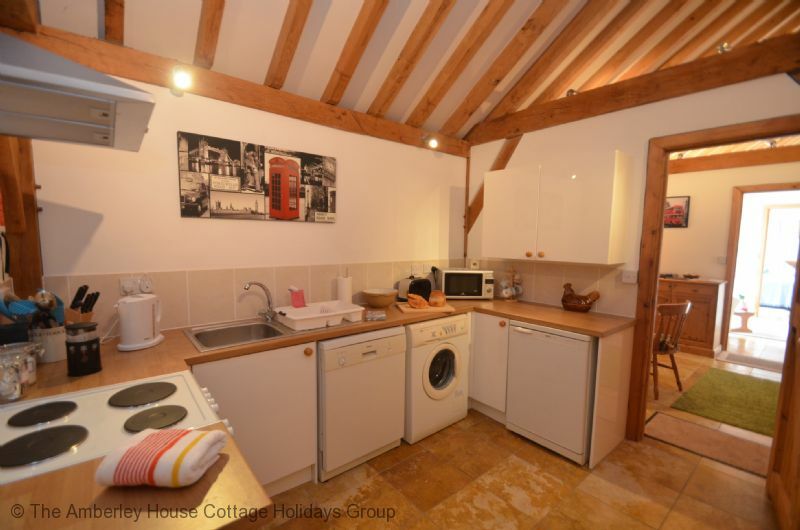 Stay in this delightful holiday cottage for two, right in the heart of 1066 Country, close to Battle. 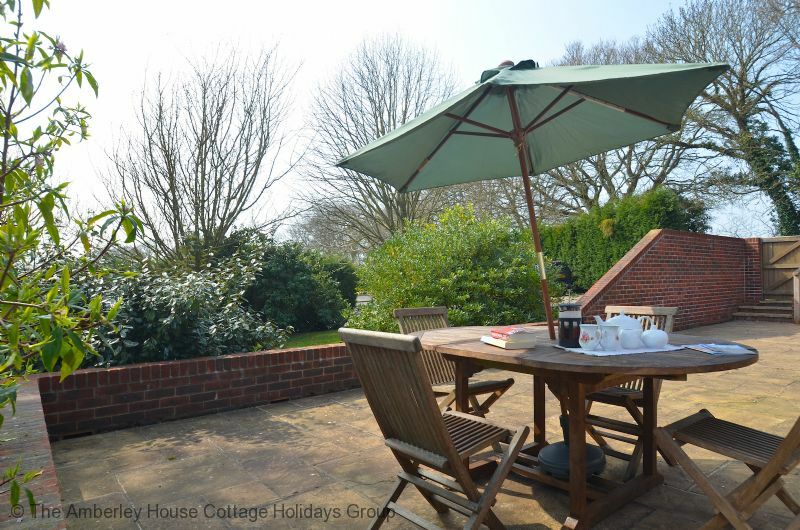 The perfect location for exploring all that the county of East Sussex has to offer. 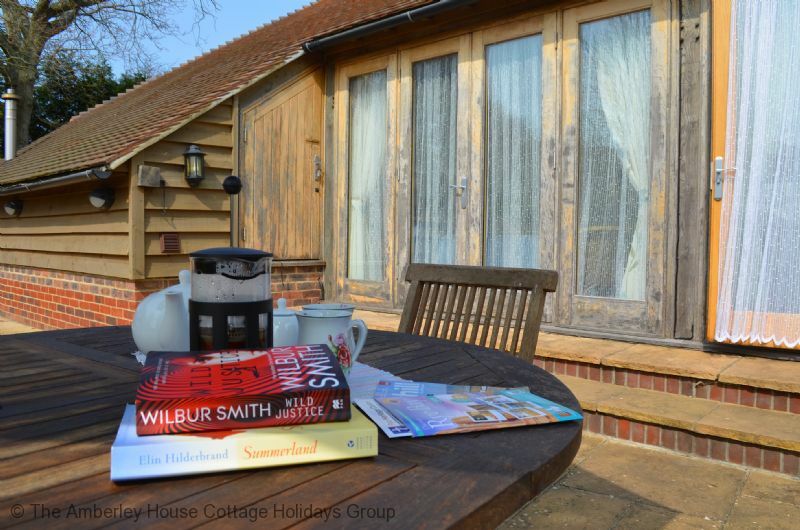 The Summer House is set in the same grounds as the owners' home and is accessed through secure, keypad entry wooden gates, giving you secure parking and somewhere safe to leave bicycles if you wish to bring them away with you. 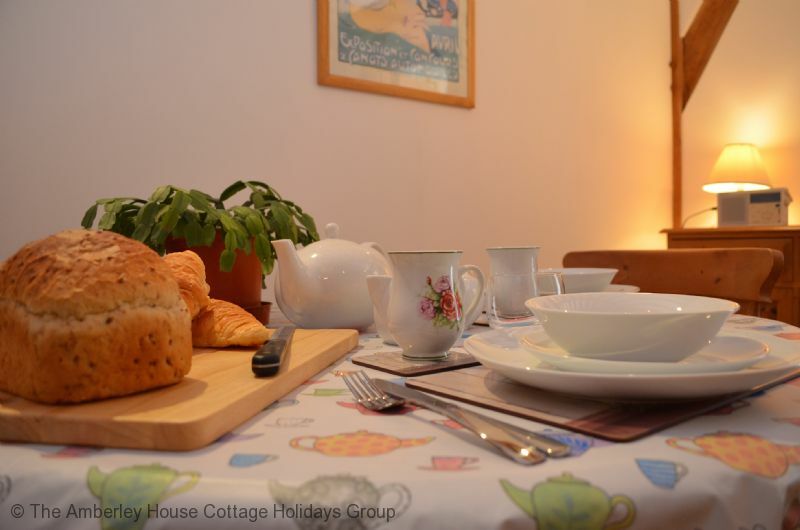 The cottage is all on one level, making it suitable for anyone who has limited mobility and struggles to use stairs. 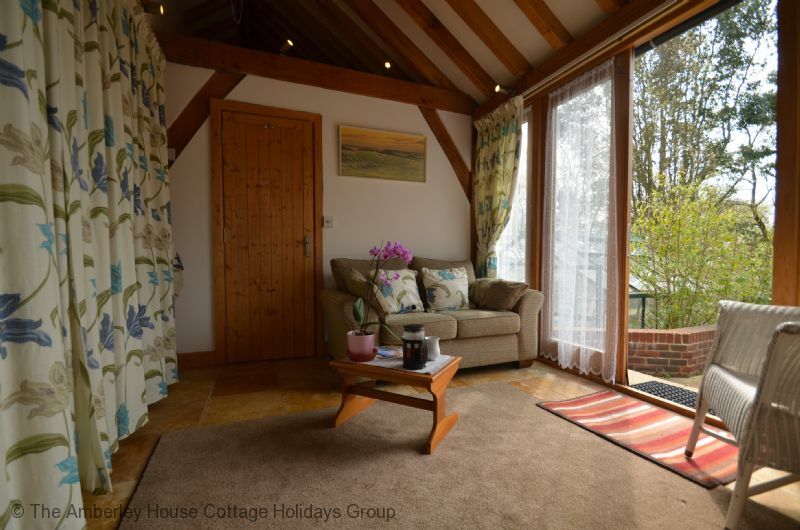 You access the cottage from a private patio garden, with outdoor seating and views overlooking the owners' stables and countryside. 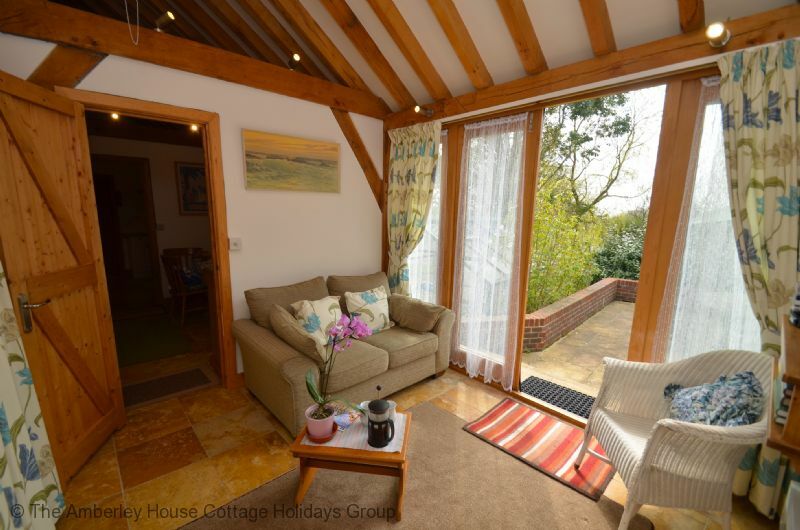 French doors lead you straight into a sunny lounge, with TV and a small DVD library. 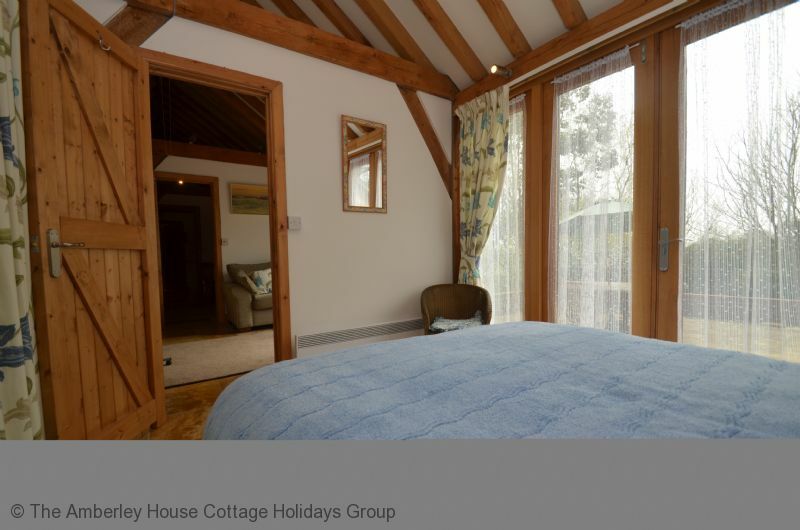 From the lounge you will find a bright, cosy double bedroom on the left and the dining room to your right. The kitchen is modern and well equipped for all your holiday cooking needs. 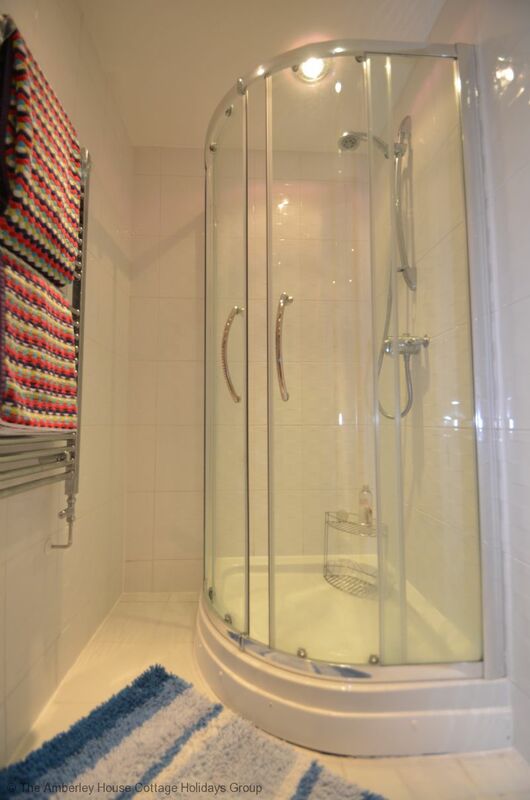 The accommodation has a separate WC with hand basin, separate shower room and a beautifully tiled steam room for you to enjoy during your stay. 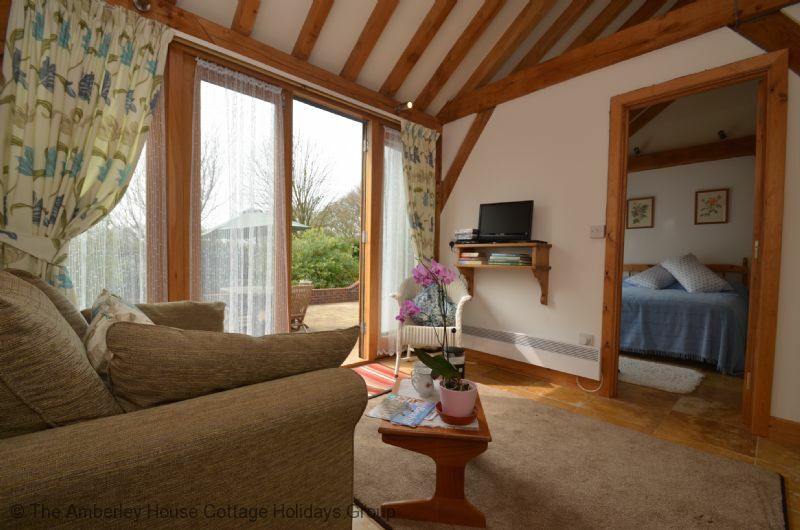 The Summer House is just four miles from the historic town of Battle and Battle Abbey. The magnificent Abbey is very central to the town and a visit here takes you to the heart of 1066 Country. 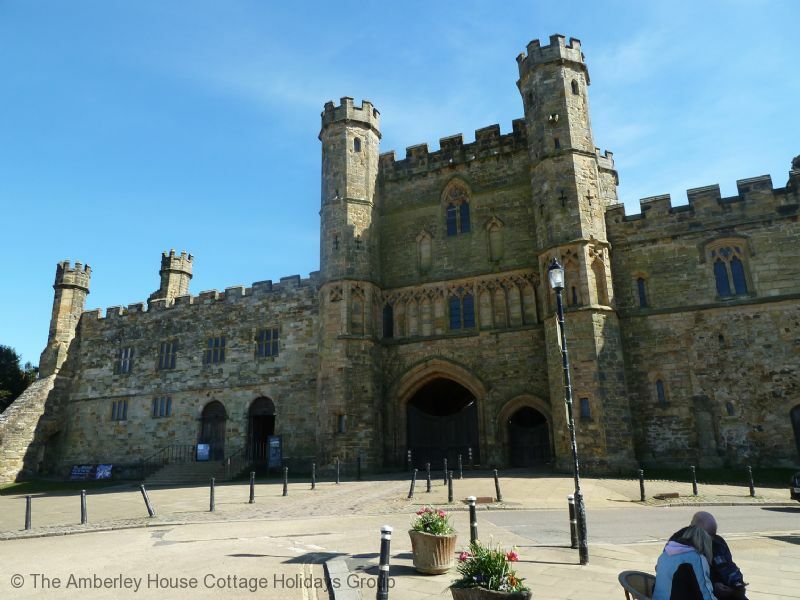 The Abbey was of course founded by William the Conqueror on the site of the Battle of Hastings and today it is an English Heritage site. When William died, he left many gifts to the Abbey that included his royal cloak and a portable altar used on his campaigns. Today the Abbey has a wealth of interactive displays and a cafe that offers wonderful views across the battlefield. Eight miles away is Hastings Old Town, full of historic buildings and quaint streets and is particularly famous for its beach fishing fleet, the largest in Europe. Much of the tradition has been kept and the net drying huts are today preserved at the top of the beach and sit amongst the many fresh fish stores at the foot of the cliffs. The Shipwreck and Coastal Heritage Museum is also found here and worth visiting; we carry a link under our 'Places to visit' section. Pevensey Bay is close by and the unspoilt pebble beach is an excellent spot for a stroll or summer picnic. 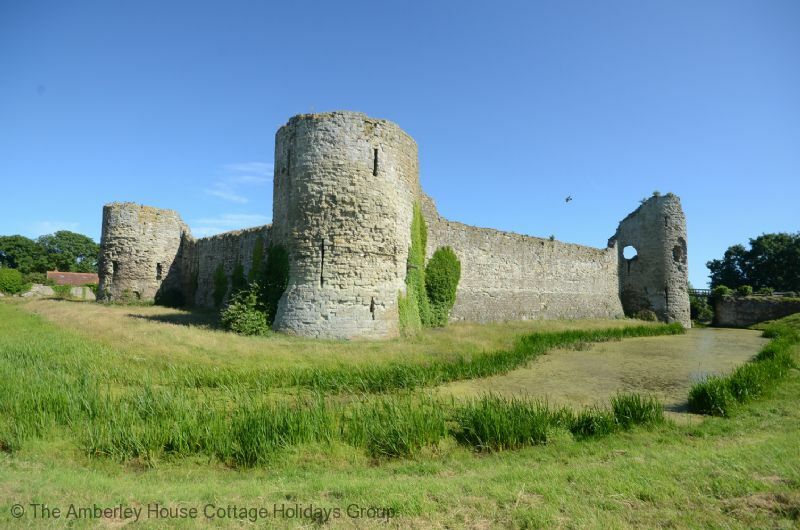 The castle at Pevensey is worth a visit with 2/3 of its towering castle walls still standing and the chance to spot 'The Pale Lady of Pevensey' who is supposed to haunt the grounds. 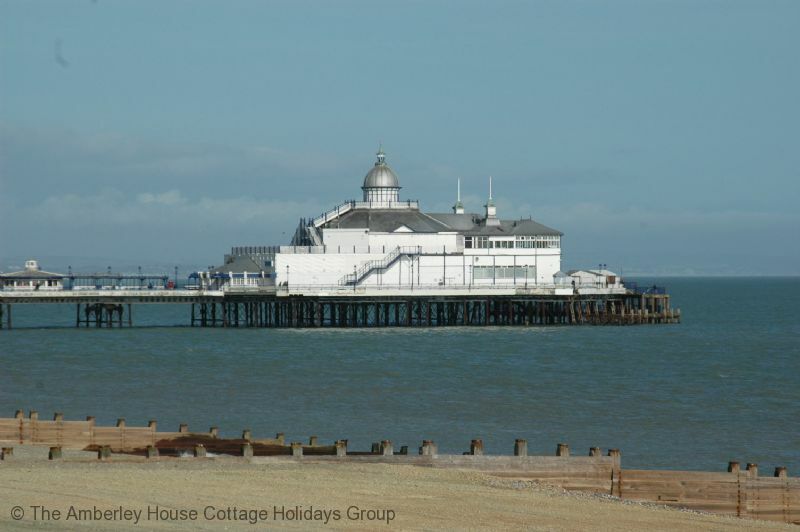 Pevensey is only five miles from Eastbourne and a short distance from Eastbourne's Sovereign Harbour. It is one of the premier marinas in England with a lot of prestigious yachts moored there. East of Pevensey is Bexhill-on-Sea, which has retained the qualities of a traditional Victorian seaside town and English life at the start of the last century. Like Eastbourne, it benefits from some of the best sunshine in the UK and is rightfully known as being part of the sunshine coast. It is filled with Victorian and Edwardian architecture and is possibly most famous for the De La Warr Pavilion located right on the promenade. 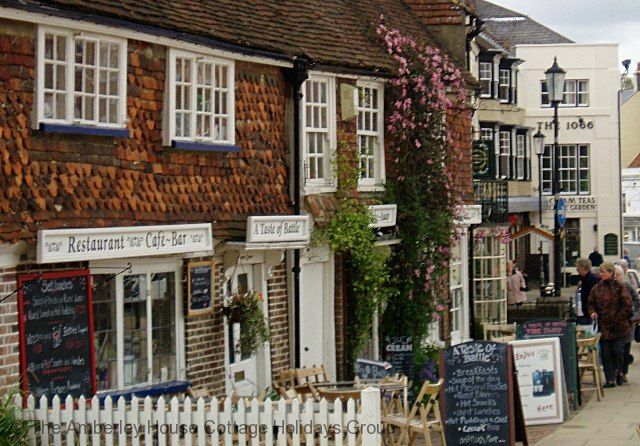 For those who want to visit further afield, the historic, cobbled medieval town of Rye is twenty miles away and is a great day out. "Very disappointed with this property located in a family compound where guests needs were very much secondary. Heating not on when we arrived and none in the bathroom at first until we asked the owner to check and it was adjusted but this should have been done beforehand. There were no instructions on how to regulate the temperature. Mattress was well past its due date to be changed. Insufficient noise barrier between property and adjacent garage and pool area where children played very noisily. Informed that someone left for work at 5.15 every morning and started car in garage right next to the bedroom, we requested that they park away from the property so we would not be woken every day which we were. Told this was not possible so we departed the property." Thank you for taking the time to leave a review and we are really sorry to read you had a disappointing stay at The Summer House. 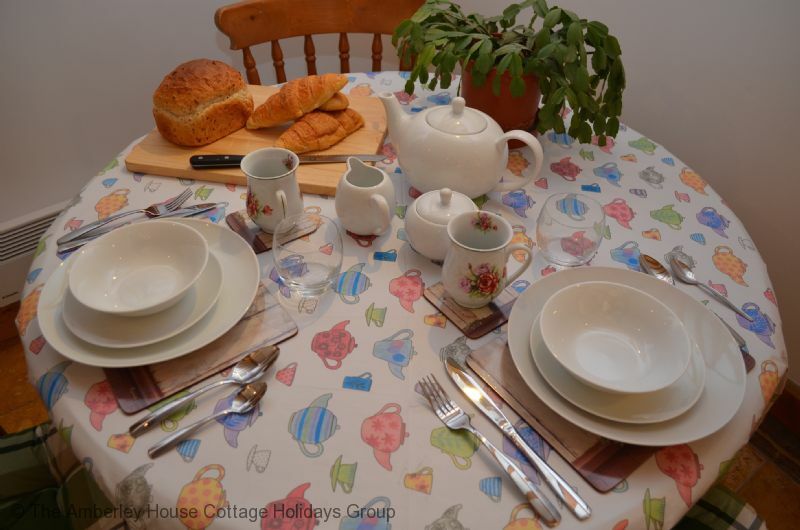 We gather though that you left very positive feedback in the visitors book and you also made contact with our office four days in to your holiday with a view to extending your stay, so your comments here do come as a surprise. The owners lives next door to the property and are always on hand to help with any issues that guests may have. Similarly we would have helped you when we spoke during your holiday especially if you were finding it cold in the accommodation. Your comments regarding the bed we have passed on to the owners who will look into this, so thank you for the observation. We hope otherwise you had an enjoyable week and managed to visit what you wanted to within 1066 Country. "Very warm welcome from Mary and Nigel. One drawback for me was the proximity of the swimming pool next door with the noise when it was being used and the fact that to have ventilation in the bedroom meant sleeping with the patio door open which felt a bit vulnerable for me! (There was an electric fan provided tho' difficult to sleep with it on!!) It would have been good to have just been able to open a window. However the weather was exceptionally hot. Also I was lucky to be able to eat outside as there are no windows in the dining area. However, the owners were very caring and anxious that I had everything I needed, which was lovely." "Our stay at the summer house was very enjoyable made possible by our hosts mary and family all the extras fresh flowers fruit biscuits thank you the family were welcoming and friendly , look forward to a return in the future Also a big thank you to am berley cottages for their efficient service we have had lovely cottages over the year's and will continue to order with the company , fred &Edna cox"
"The owners were lovely people that made you feel welcome. 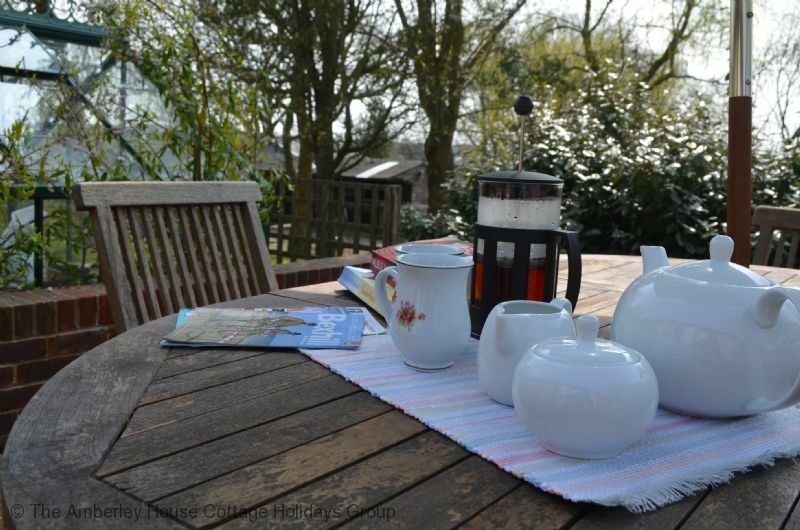 The summer house was cosy and a perfect place to start our married life, the surrounding were beautiful as well. The summer house had everything that was needed." "Pleasant enough accommodation. We only saw the owners twice which was ok as we found our own way around. Nothing within walking distance so you must drive everywhere. 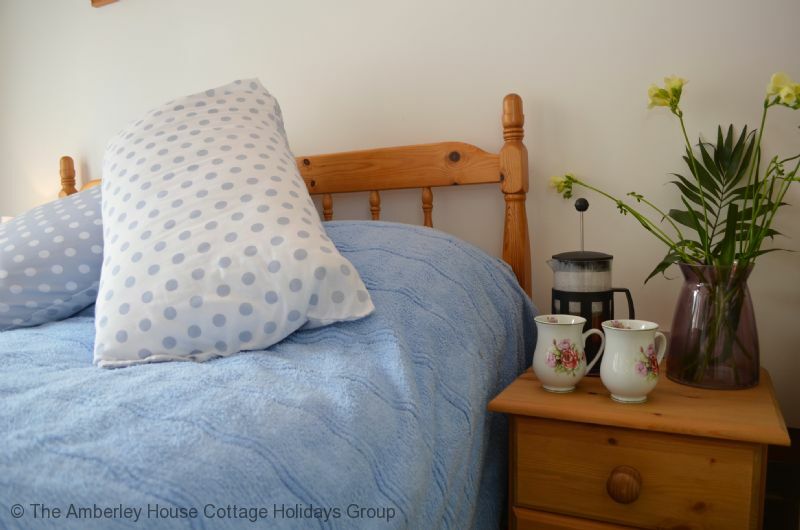 Yeah it's ok."
"The cottage is well equipped, secure and in a great quiet location with very friendly owners. The only downsides are three of the rooms have no natural light (they are lit by spotlights) and no ventilation so the cottage gets a bit stuffy on hot days. I would recommend it for a short stay. " "Couldn't fault anything. A home from home and the owners were "bending over backwards" to ensure we were ok. Superb value for money. Would recommend to anybody." "Very well equipped with everything you need and more. The welcome pack of fruit, milk, tea, coffee and biscuits was a nice touch especially after travelling a distance. Owners very helpful and on hand if you have any problems. " "We enjoyed our stay very much, and were made very welcomed. There were some nice extra touches included." 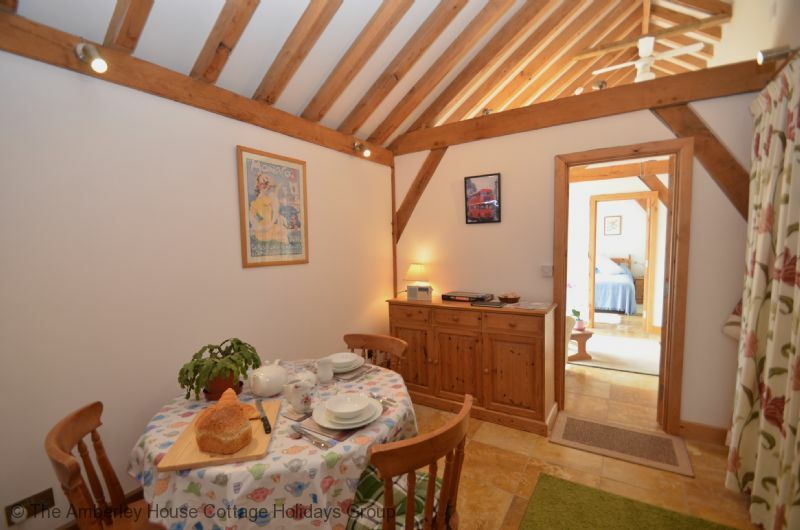 "The summer house was very cosy and private, great terrace for al fresco dining. The owners live next door but The summer house is private & not overlooked. We met the owners when we arrived, who were very friendly & helpful." 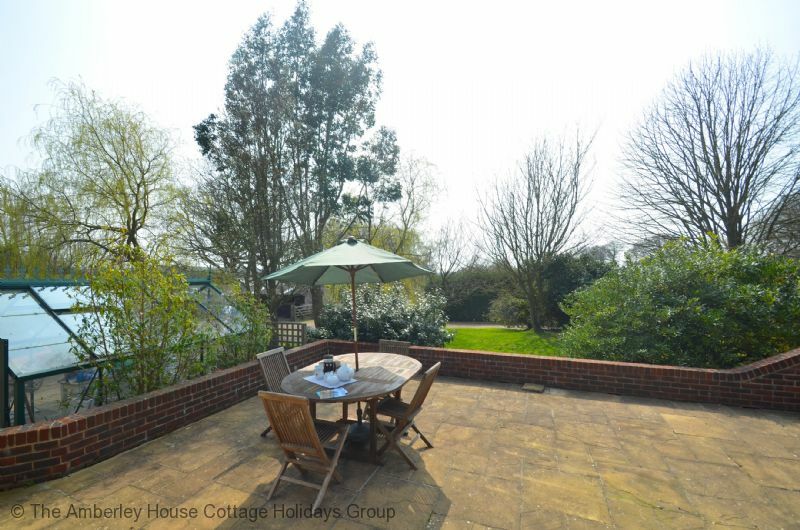 A lovely property in a great location with excellent hosts. 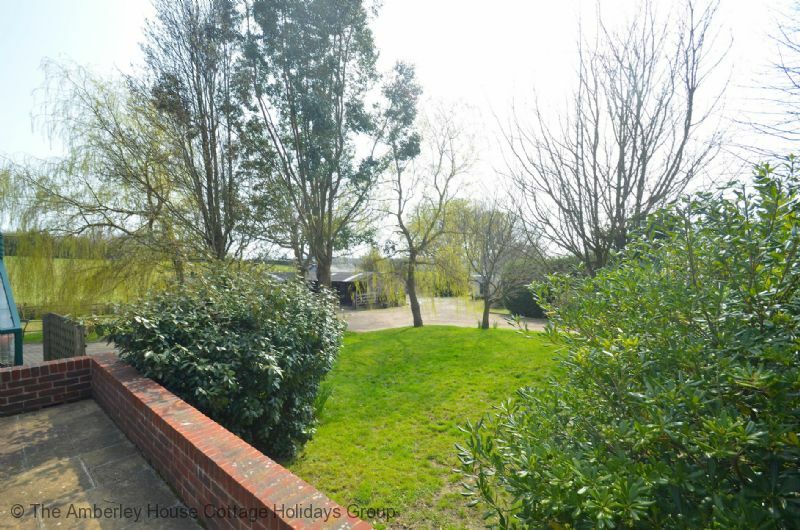 "Tucked away on the Bexhill Road, close to Ninfield sits this beautiful summerhouse. 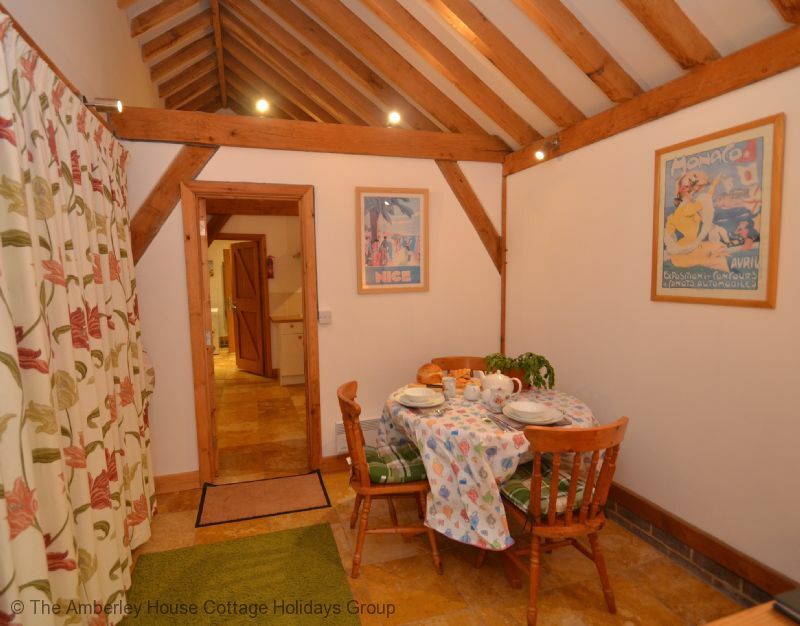 On arrival at the location, through the secure gates the summerhouse is tucked away behind the owners properties, close to the stables and a hundred metres from the two small lakes full of carp. 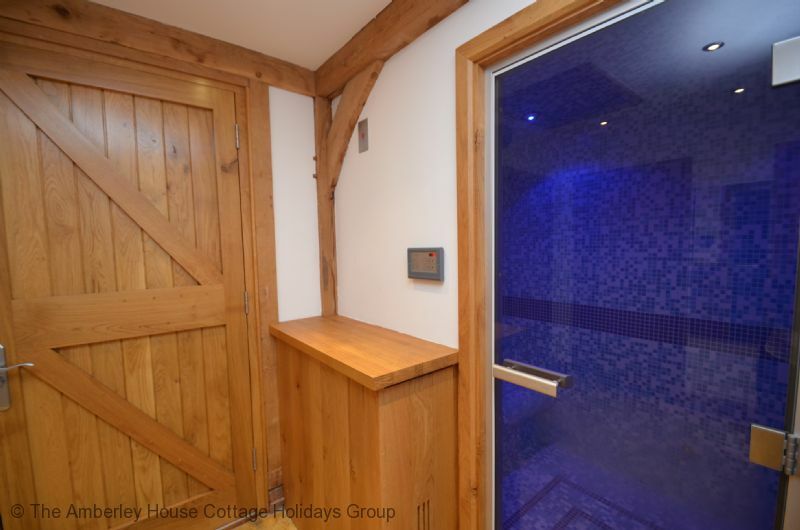 The summerhouse has everything you need for a short vacation and as in our case a slightly longer one, complemented by a modern bathroom/shower suite and the bonus of a steam room made it all very comfortable indeed. The double bedroom, small lounge, dining area and well fitted kitchen plus an outside private patio area and car parking completed the total package. The summerhouse is in top quality condition and was as clean as a whistle upon arrival with the added bonus of a bowl of fresh fruit on the dining room table. 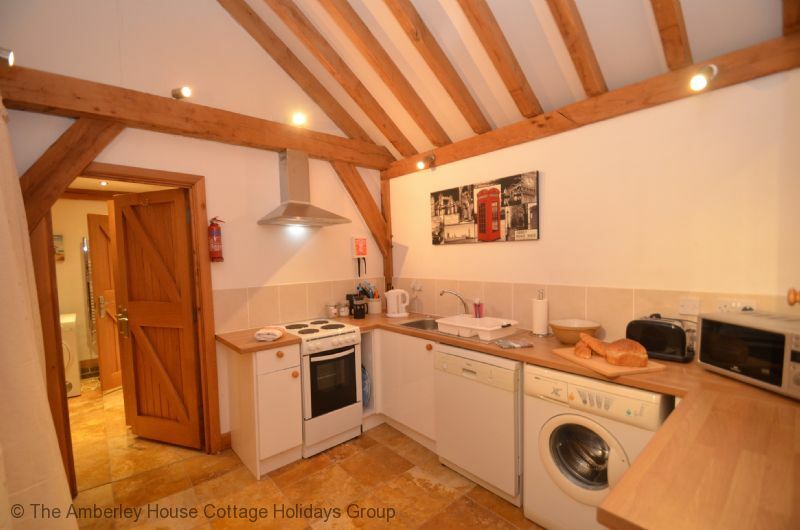 Just about everything you require is available, which is more than generous and the washing machine, tumble dryer plus the dishwasher make for a really relaxing stay. Their are also numerous places of interest to visit in all directions, many in a close proximity to the summerhouse, which means less time in the vehicle and more time at the attraction. 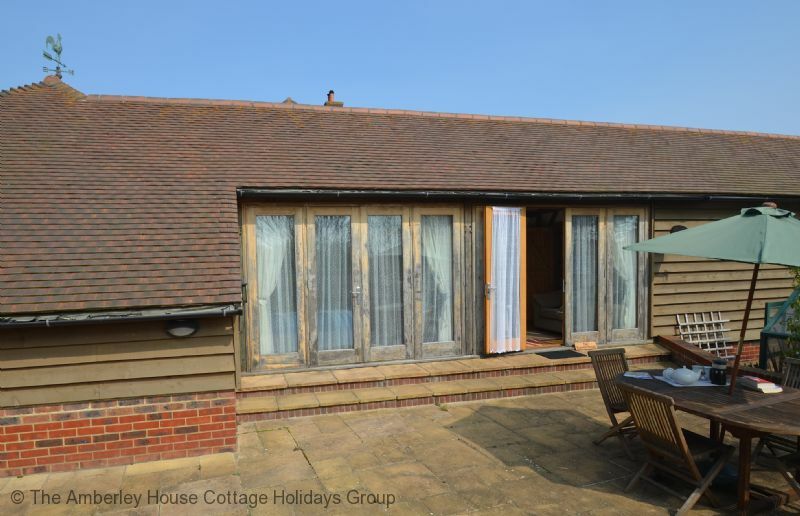 A beautiful little summerhouse and the owners lovely family make for a very enjoyable vacation "
"Very relaxing stay.Lovely environment.Just perfick for two Adults.Great private parking very secure." "Our stay was exactly what we needed. A place to rest and chill out. The Road Direction signs for the area though are very confusing to say the least, we ended up going round in circles and back tracking loads of times. Bexhill shopping area is decaying, as is Hastings, however, Hastings Old Town and Old Town Bexhill are worth a visit. Battle is a lovely place to spend time in, and Herstmonceux Castle is lovely to see. Bodiam Castle is value for money. Pevensey is also worth a visit. The Bulls Head at Boreham Street is a good place for eating in, as is the Italian Way opposite the De La Warr Pavillion, Bexhill. 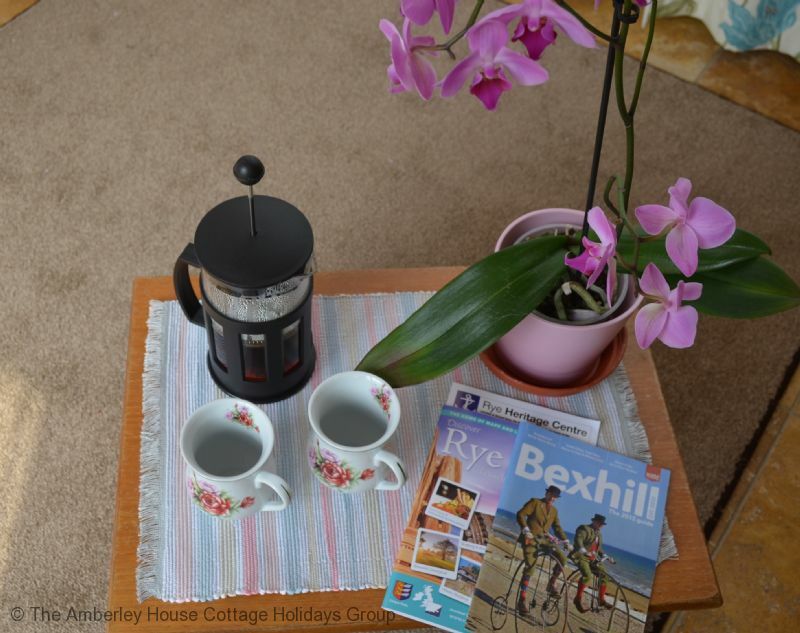 On the whole, apart from the state of the roads and road signs, we had a lovely stay in our accomodation." "We enjoy our weeks stay in The Summer House. It was just so peaceful and restful just what we needed. It had everything that was needed fro a teaspoon to a tea pot! The steam room was an added bonus. Would like to come next year." "Whilst the property was well presented clean and comfortable it was a lot smaller than we hoped.The only negative comment I would make is that there was a lack of controlable ventilation to the kitchen, dining area, sitting room and bedroom.There was no natural light to kitchen and dining area.Being there on hottest week of the year there were no windows which could be left open at night,the rooms had casement doors which had to secured at night making it very uncomfortable for sleeping." "This was an ideal location for touring and a relaxing, enjoyable experience. 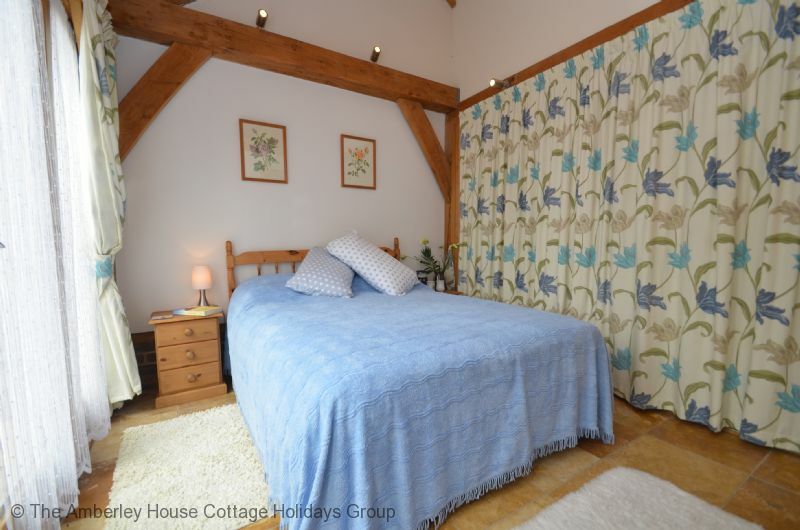 The Summer House was clean and very well appointed with all the usual facilities. "